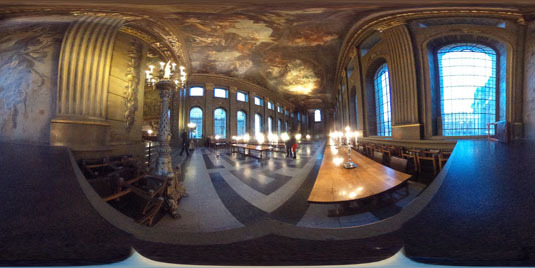 Review The Ricoh Theta is yet another excursion of photographic fun intended to deliver an immersive environment, on-line, on the move or on the desktop. It’s been tried before – remember iPIX anyone? That idea – which in the mid-1990s became a hit among high class estate agents – is still going, and still pricey, stitching two fisheye lens images together to form one seamless 360-degree view. For 360-degree imaging, the alternative typically required quite a bit of painstaking effort involving multiple images and some photo stitching software. Apple's QuickTime Cubic VR technology supported scene weaving this way and featured iPIX compatibility too. 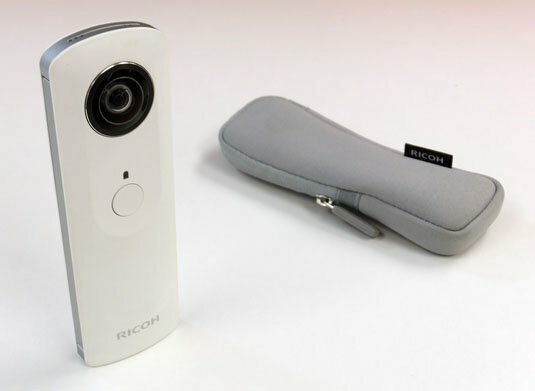 Where the Ricoh Theta differs, is that by having two hemispherical lenses, it takes two 180˚ images, combines them in-camera and hey presto, you’ve got a globe of visual goodness to play with. There’s good news and bad news here, though. Depending on where you sit on the photography fence, the good news is it’s dead simple to use. Turn it on, hold it aloft and press the button on the front and listen for the soft whistle and you’ve taken a snap. Great, so what does it look like? There’s no viewfinder and the good bad (delete according to degree of modernity) news here is you’ll need an iPod, iPhone or iPad running iOS 6 or higher. The iOS device performs several functions, though. 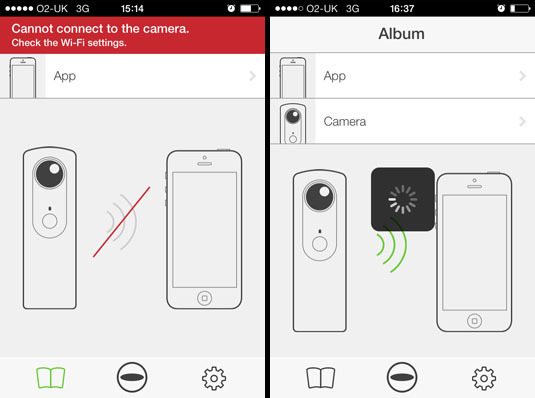 One of these4 is to act as a remote control for the Theta, as the camera also features its own Wi-Fi access point to communicate with your iDevice. So not only can you hide behind the bushes as you snap a glorious autumnal scene in the gardens of your stately home, but in a matter of seconds a low-res copy of your shot is sent to the iDevice. That’s the absent viewfinder side of things taken care of – and the fun’s only just started. The iPhone will supply GPS data to the Theta so each image gets a location tag; the data flow is a bit of a two-way street. The iOS app allows you to interact with the spherical images, each appearing as a globe thumbnail. Click on one and you can pinch-zoom out to turn the view into a mini planet that you can twirl around. If you get in close for detail and start panning, you might find it all a bit on the mushy side, the image being lower-res than those stored in the actual camera. The Theta has around 4GB of internal storage, enough for 1,200 images and features a lithium-ion rechargeable battery that’s good for 200 shots. There’s a micro USB 2.0 port in the base for charging and image transfer. With the latter, it’ll pop-up in iPhoto ready to import some very strangely distorted images when viewed ‘flat’. At full-res this measures up at 3584 x 1792 pixels making it a 6.4Mp image; the lower res app view pics are 2048 x 1024 pixels (2.1Mp).